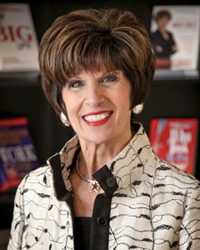 Founded by CEO Joan Burge, Office Dynamics International reached its 24th year of providing the most trusted certification and training systems for peak performance of administrative professionals. Their nearly quarter century of experience has allowed them to identify critical new trends in human capital management. With 80% of executive assistants nearing retirement age, succession planning for these vital professionals is critical. Office Dynamics International, the global leader in training and certification for administrative and executive assistants, today announced their 24th anniversary of advancing the professionalism and performance of top administrative professionals, and outlined two notable rising trends in human resources best practices. With their deep experience offering training, certification, coaching and educational resources for high performing companies such as Cisco Systems, The Boeing Company, Humana Inc., Procter & Gamble, and Chevron Corporation, Office Dynamics International has seen tremendous change in learning and organizational development practices in the global workforce, with two key talent management trends emerging to the forefront. The first trend is the understanding that executive productivity relies on skillful administrative support. While executive productivity is often cited as a chief concern of human capital and HR leaders, the professional development of their support staff hasn’t always registered on the agenda. Increasingly, best-in-class organizational productivity programs are now positioning the certification and training of executive assistants as a critical component. The second trend identified is the expansion of succession planning best practices to include top administrative professionals. While many talent management leaders focus on their management team when considering succession planning, high-performing organizations are increasingly recognizing risk in the sometimes-overlooked administrative workforce. In celebration of their 24th year, Office Dynamics International is offering a limited-time 24% discount on educational resources for administrative and executive assistants, including books, CDs, DVDs, and online courses. To learn about upcoming certification and training for administrative professionals, visit the website. Since 1990, Office Dynamics International has been the global leader in the development of sophisticated executive and administrative assistant training, certification, coaching and resources. They offer a broad range of solutions that create behavior change and produce sustainable results. Office Dynamics’ expertise in the administrative training industry is unparalleled, and is complemented by a unique line of premier educational products that boost success for employers and enterprising administrative professionals, secretaries, and support staff. Office Dynamics’ quest to provide extraordinary career-changing educational programs has earned the respect of elite clients including Cisco Systems, The Boeing Company, Humana Inc., Procter & Gamble, Nationwide Insurance, Kindred Healthcare, and Chevron Corporation.